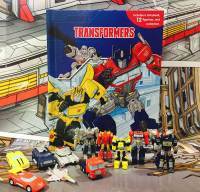 Earlier this month, we announced that Phidal Publishing will officially welcome Transformers to its highly successful My Busy Book series. Now it’s time to take a look at the book itself and the associated figures. 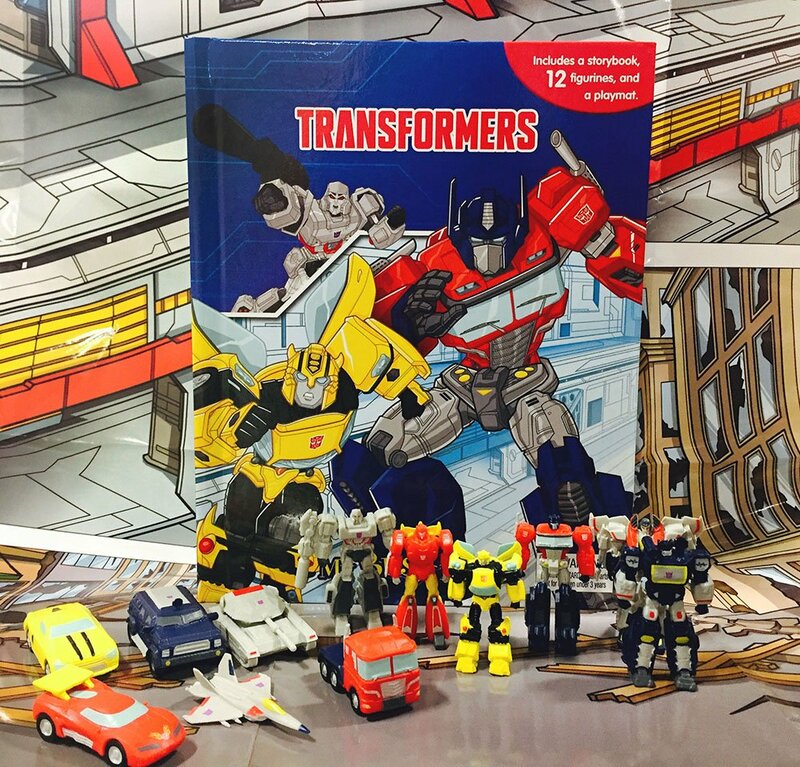 It is worth noting that the promotional images used on Hauck Transformers Go-Karts have originated from the illustrations on Transformers My Busy Book. With a couple of licensed products utilizing the exact same designs, it is unsure whether these G1 inspired looks are just for merchandising purposes or for a possible future media usage. Check out the product images, after the jump. Where can I get one of these just for the bot figs? G1 stylin' with a little movie thrown in… especially for Bee… but that looks good on him, better than a VW. 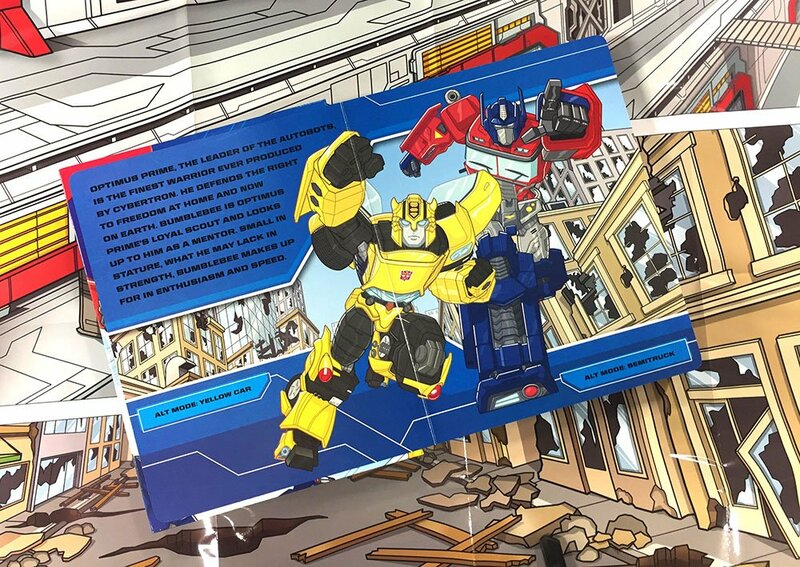 Prime's got this pelvic twist & thrust thing going on… maybe he's doing crunches while he waits to transform. \"Alt mode- Yellow car.\" How descriptive. I'll echo the general sentiment here, the designs look very tidy. But… WHAT IS HAPPENING TO THEIR WAISTS? It's 6 bots and 6 vehicles, and I even doubt if they're articulated tbh. Op & Bee kinda have a feminine vibe about them. I'd lol if this were the new show but they were all voiced by women. I like Soundwave's new vehicle mode. Make a Generations toy with that design + Deployers, and insta-buy is served. Basically, it's designed to milk both little kids and adult collectors? I don't know if that's how their marketing department reckoned it, but I could easily be convinced that's the case. It sort of reminds me of that weird pop up book that had a kind of hybrid aesthetic. 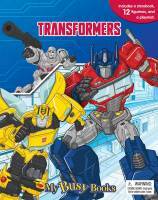 I\'m surprised that they didn\'t use the Rescue Bots for this? Surely they are a more apt line to use for such a young audience? Oh my goodness! If we get a toyline of this asthetic, I'll be all over it. That's exactly what I wanted. Ooh, that's Kei Zama's Prime design from the comics (the new one that I fecking adore)! Nice! Wonder how they scale next to the old PVC figs? They look about an inch shorter. Those models look cool. Kind of reminds me of those diecast models and Hot Wheels sized cars that were announced. Did those ever come out anywhere? 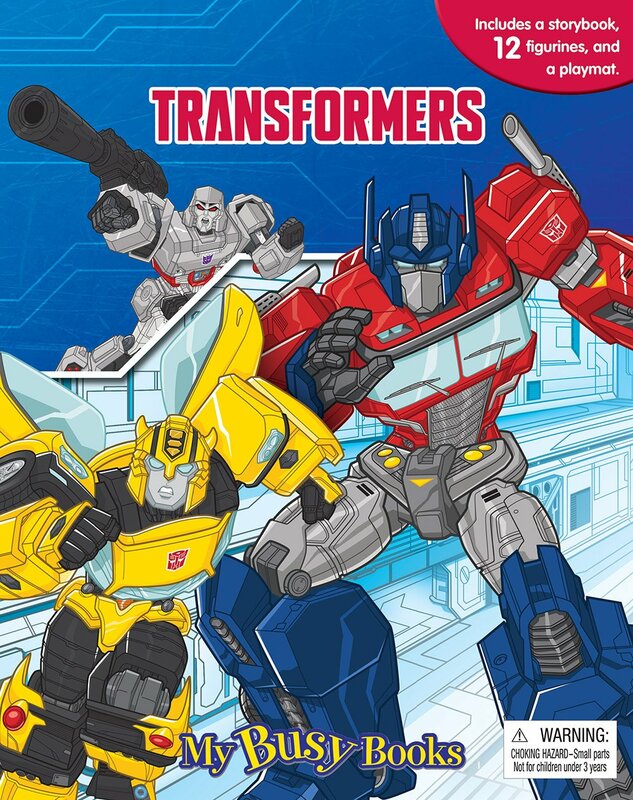 The colours and the style of drawing reminds me of Rescue Bots. I'd be behind a line with this aesthetic.